recommended for: Fans of Game of Thrones, Legacy of Kings by Eleanor Herman, and other sweeping, quasi-historical fantasy. Poisoned Blade is a masterpiece of fantasy, with the same intrigue, spirit, and adventure that made Court of Fives one of my favorite books of 2015. It combines elements of fictionalized Greco-Roman history, fierce athletic competition, badass women, political intrigue, and social consciousness into one sweeping epic tale. Of course, this is no simple mish-mash of past masters. Elliott's past prowess in the adult fantasy world shines through in the rich and unique details of her world--poets bound to truth, entombed oracles, walking corpses, multifaceted souls...and, of course, the Fives itself, a daring athletic competition that unites conquerors and slaves alike in the celebration of their champions. It's a fierce story that cuts deeply and leaves you aching for more. Jes has become a Challenger in her own right, seen her family splintered apart, lost the boy dearest to her, and become the reluctant puppet of a cruel and scheming master. That's just before the first page, and Elliott flings you into the sequel with a dramatic opening: Jes's friend and father leaving for war, a family member returned, and an overheard scheme. Because Jes is the brazen sparkplug that I love, she unwittingly thrusts herself into the heart of the chaos--the war from ancient enemies without, the throne-stealing plot from greedy highborns within. Suddenly, Jes's world is more dangerous than ever. Love Game of Thrones? Then, like me, you'll relish the political intrigue and deception. There are so many layers of scheming, and Jes is never quite sure who is lying to her, who she can trust, even what motives are driving the players. There is an ineffective king and cloistered queen in an embattled city; rumblings of revolution from the enslaved natives of Efea; dastardly spiderwebs of schemes stretching from Jes's master, her father's deadly new bride, and even the queen's brother. I found myself enthralled following each thread, guessing at who was working with whom and their plans, and inevitably being wrong when Elliott pulled another satisfyingly shocking twist. The climax managed to be both delightfully foreshadowed and surprising, and the ending gave unexpected (and enjoyable) closure for a mid-series book while still leaving so many threads open for the next adventure. Of course, the plot could be half as thrilling and I'd still read for the characters. Elliott has truly created people, carefully crafted and still messy and flawed and shivering with life. Jes still has the same fire, cockiness, and compassion that drew me to her in the first book, but she's been forced to grow as well. She's had to compromise her ideals to save the people she loves, all while tiptoeing around dangerous schemes that are a tightening noose with every new secret she learns. Rebel and risk everything, or be quietly complicit in the atrocaties perpetrated by her masters? Then there's more of the adorably snarky Ro, the sometimes naive but good-hearted Kal. We come to better know Jes's stubbornly inscrutable father, her brutally practical and cruelly reasonable master Lord Gargaron, her father's deadly, viciously clever new bride. I wanted a little more of some of the side characters, like fellow contenders Dusty, Mis, and Tana, but I know that Elliott can only give us so much without overwhelming the story in detail. The characters we do get wormed their way into my heart and left me breathless and shattered at every turn. Finally, there is Elliott's world. On one side, it's a fantasy fan's dream, with details plucked from history, enough to make it familiar, but with its own feel. Between the mouthwatering food descriptions, details of clothing and customs, and hints of language, you truly feel transported to another world. Then there are the parts that mirror our own. With her enslaved, dark-skinned Efeans and light-skinned Saroese conquerors--and Jes, born to a Commoner mother and Patron father--Elliott expertly explores the dynamics between a conquered people and its overlords, and the struggles of a girl caught between worlds, belonging to both and neither, trying to decide what she stands for. On the whole, I cannot recommend this series enough. 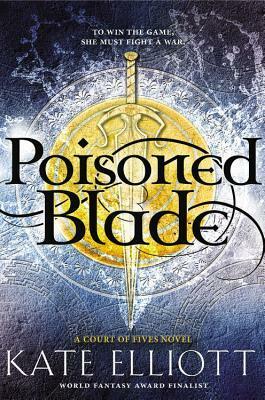 If you've read the first one, then rest assured that Poisoned Blade is a worthy successor written in the same lush, gorgeous, yet approachable prose. If you're new to the series, don't delay. Elliott's world is one you won't soon forget. The Poisoned Blade is an ambitious, vibrant sequel worthy of its predecessor. Riveting. will i continue the series? Can I haz now? catch more stops on the poisoned blade tour! 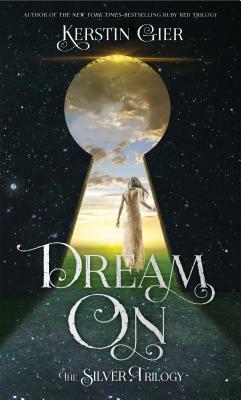 This book really looks very good and I totally love the cover!!! Court of Fives was my first Kate Elliott read and I immediately regretted it because I didn't realize it was the first of a series and I have zero patience! I've been eagerly waiting for the next installment. Great post! I def want to read this book! I read the first one and liked it a lot more than I thought I would.